LeTourneau Baseball Outlasts East Texas Baptist 7-6 In Extra-Innings. 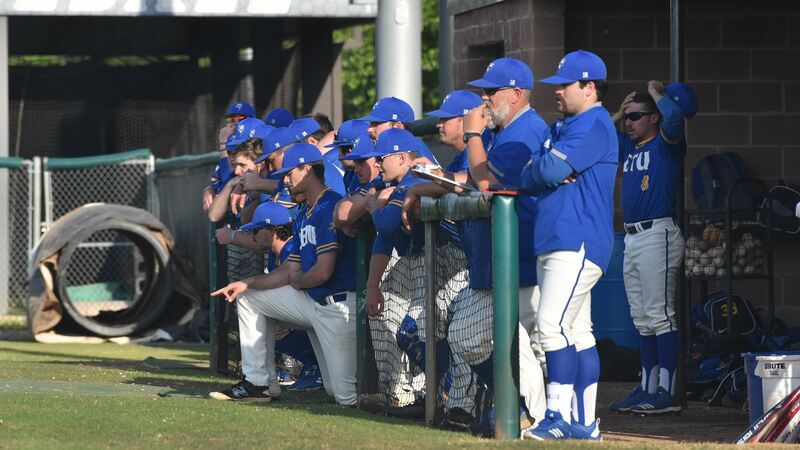 MARSHALL, Texas – Using six runs in the middle innings and one run in the 10th, the LeTourneau University baseball team would manage to outlast East Texas Baptist University by a final score of 7-6 in 10 innings at Woods Field in Marshall on Saturday, April 6. Grabbing a win in the series finale, LETU improves to 17-13 overall and 7-5 in American Southwest Conference play while ETBU drops to 21-10 overall and 10-5 in ASC action. Early on would be all Tigers as the YellowJackets would be held to just one hit through three innings of play while allowing three runs on five hits to East Texas Baptist to trail 3-0 after three innings of action. An infield single by Brandon Ramirez would start a rally for LeTourneau as a Bryce Brueggemeyer double and Jacob Jones fielder’s choice would get LETU on the scoreboard to trail 3-1. Offensive production would keep going in the top of the fifth as Eli Birriel, and Jacob Faubion led off the inning with back-to-back hits to put runners on the corners before a stolen base and passed ball allowed Birriel to come home and move Faubion to third. Ramirez would then drive in a run on a sacrifice bunt to tie things at 3-3 and put new life into the YellowJackets. Things would remain tied at 3-3 until the top of the eighth when the first three batters of the inning for LETU would reach base with a throwing error bringing home Chaz Jackson to break the tie. Jones would then add a run on a sacrifice fly with Noah Mahoney also coming around to score later in the inning as part of a three-run scoring output on two hits to double up the Tigers. LeTourneau would then be forced to work out of a bases-loaded jam with one out in the bottom of the eighth as Konner Gayle would come on in relief and throw one pitch to induce an inning-ending double play and keep the score at 6-3 heading to the ninth. The YellowJackets would not be quite as fortunate in the bottom of the ninth as ETBU would put two runners on with one out before seeing a fielder’s choice put the Tigers down to their final out. Before the last out could take place, East Texas Baptist would tie things up on a three-run home run followed by a lightning delay that would extend the game by nearly an hour before going to into extra-innings. In the extra-frame, LeTourneau would collect three hits with a Birriel RBI single down the right field line scoring Mahoney from second to put LETU back on top by a 7-6 margin. The one run would prove to be enough as ETBU would be retired in order in the bottom of the 10th to end the game and give the YellowJackets a win in the series finale. Earning his second win of the season, Ryder Lognion would throw 1.1 innings in relief and retire all four batters he faced as LETU would use four pitchers in the contest. LeTourneau’s 12-hit output would be paced by a three-for-four performance from Birriel to go along with two RBI and one run scored while Ramirez, Brueggemeyer, and Faubion all recorded two hits each. LeTourneau plays their non-conference finale on Tuesday, April 9 at 6″00 p.m. when they travel to Sherman, Texas to take on Austin College. Heading into their series finale at Trinity University Texas, AC holds a 7-16 overall record with their last win coming by a score of 26-0 against Schreiner University on March 30. LeTourneau Softball Unable To Fend Off Rain, #3 Tigers In 6-2 Road Defeat. MARSHALL, Texas – LeTourneau University’s softball team held on to a 2-1 lead before an hour-long weather delay and then the host and number three-nationally ranked East Texas Baptist University broke out for four runs following the delay in a 6-2 defeat at Taylor Field in Marshall on Saturday, April 6. LETU slips to 17-13 overall and 14-10 in the American Southwest Conference with the defeat while the Tigers improved to 30-1 overall and remain perfect in conference play at 21-0. The long ball would be working early for the YellowJackets as Haydn Parker would break a scoreless deadlock in the top of the second with a leadoff home run to left field to give LeTourneau a 1-0 lead. LETU would look to add more in the top of the second, but see a run cut down at the plate on a double-steal and strand two runners before allowing the game-tying run to ETBU in the bottom of the second. Taylor Nichols had alternative plans for a tie ball game as the freshman would connect on her second solo home run of the weekend to lead off the top of the third inning as the YellowJackets would reclaim a one-run lead at 2-1. LeTourneau would then work out of a bases-loaded jam in the bottom of the third as two strikeouts, and a groundout allowed LETU to hold their lead going into the fourth. Both teams would squander opportunities over the next few innings of play as each team stranded a total of three base runners between the fourth and fifth innings with the YellowJackets stranding two more runners in the top of the sixth. Lightning would make its way into the area before the bottom of the sixth, which would give East Texas Baptist time to regroup with the YellowJackets holding a one-run lead. Out of the delay, ETBU would strike for five runs on two hits and two LeTourneau errors as five of the first six batters of the inning would safely reach base to break open a 6-2 lead going to the seventh. In their final opportunity of the game, LETU would put their leadoff batter aboard before seeing the Tigers set down the next three batters to hang on for the win. Splitting time in the circle, the YellowJackets would use Bailey Richey (2.0 innings) and Samantha Akers(4.0 innings) in the contest with the two pitchers combining for four strikeouts. Recording six hits in the game, LETU would see their hits scattered across six players. Nine runners would be stranded in the game by LeTourneau while East Texas Baptist stranded nine runners of their own. LETU returns to action next weekend at home with a three-game series against Texas-Dallas. The series will get underway with a 5:00 p.m. doubleheader on Friday, April 12, and will see the series finale take place on Saturday, April 13 at 1:00 p.m. as part of homecoming and family weekend 2019. 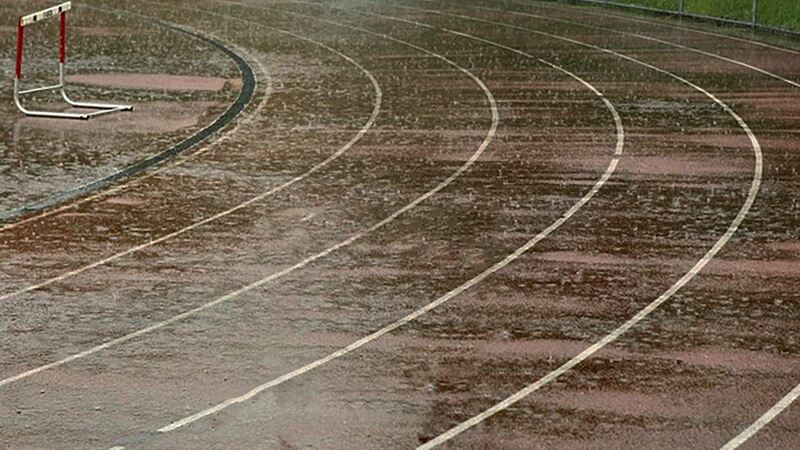 Weather Wins The Day, Washes Out LeTourneau Track In Nacogdoches. NACOGDOCHES, Texas – The LeTourneau University men’s and women’s track and field team would be able to complete the hammer throw and triple jump before mother nature would take over and cancel the remainder of the Carl Knight Invitational hosted by Stephen F. Austin University in Nacogdoches on Saturday, April 6. The women would have two student-athletes compete in the hammer throw, and triple jump as Rebekah Stevenson (38.63 meters, 126 ft. – 9 in.) and Alicia Griscom (31.31 meters, 102 ft. – 8 in.) competed in the hammer throw. In the triple jump, LETU would get marks of 9.60 meters (31 ft. – 6 in.) from Kennady Poling and 9.32 meters (30 ft. – 7 in.) from Tori Field in the only two completed events of the day. Competition for the YellowJacket men saw Adrik Kling record a mark of 36.64 meters (120 ft. – 2 in.) in the hammer throw while Javuaghn Dantzler (12.65 meters, 41 ft. – 6 in. ), Nate Berlandier (12.46 meters, 40 ft. – 10.5 in. ), and Keishaun McMillian (11.26 meters, 36 ft. – 11.5 in.) all competed in the triple jump. With Saturday’s action being cut short, LeTourneau will now turn their focus to next weekend’s East Texas Invitational which will be hosted April 12-13 on the campus of Texas A&M-Commerce. Five School-Records Fall For LeTourneau Track and Field At Carl Knight Invitational. NACOGDOCHES, Texas – Seeing a total of five school records fall between the men’s and women’s teams, the LeTourneau University track and field team would continue their recent run of strong marks on day two of the Carl Knight Invitational hosted by Stephen F. Austin University in Nacogdoches on Friday, April 5. Setting a school record for the second consecutive week would be Georgianna Roeder after closing out the multi-event portion of the meet on Friday morning to finish with 3,448 points in the Heptathlon. After entering the day with 2,180 points, Roeder would record marks of 4.61 meters (15 ft. – 1.5 in.) in the long jump and 30.85 meters in the javelin (101 ft. – 2 in.) to go along with a time of 3:05.12 to earn 1,268 points to add to her total. Also setting a school record for the YellowJacket women on Friday would be Rebekah Stevenson in the shot put after putting up a mark of 9.84 meters (32 ft. – 3.5 in.) while Alexis Segura just did manage to break her own school record in the 1,500 meters with a time of 4:57.43. Just missing out on tying her personal-best mark and school-record in the pole vault, Kaylee Packer would take seventh after surpassing 3.19 meters (10 ft. – 5.5 in.) while McKenzie Craycraft (21:58.62), Allison Fuller (22:38.58), and Bridey Davis (25:22.52) all competed in the 5,000 meters to close out the second day of competition. 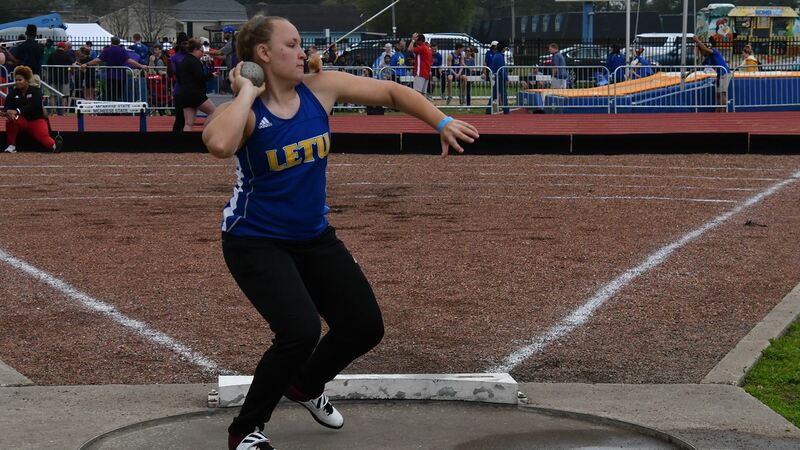 LeTourneau would also have a group of four compete in the javelin on the women’s side and were led by Stevenson with a throw of 29.06 meters (95 ft. – 4 in.). Also competing in the javelin were Hayley Anguiano (26.55 meters, 87 ft. – 1 in. ), Melanie Shempert (21.58 meters, 70 ft. – 9 in. ), and Lexi Funk (21.52 meters, 70 ft. – 7 in.). The LeTourneau men would have a pair of athletes finish out the two-day decathlon, with Collin Jones finishing with a total of 5,765 points while Arvin Hrushka scored 5,716 points. Jones would set marks of 25.40 meters (83 ft. – 4 in.) in the discus, 4.44 meters (14 ft. – 6.75 in.) in the pole vault, and 37.74 meters (123 ft. – 10 in.) in the javelin to go along with times of 17.25 in the 110 meter hurdles and 4:51.02 in the 1,500 meters. Hrushka would put up similar marks in all five events, running times of 18.15 in the 110 meter hurdles and 4:45.54 in the 1,500 meters to go along with a school-record score of 36.98 meters (121 ft. – 4 in.) in the discus and marks of 3.94 meters (12 ft. – 11 in.) in the pole vault, and 38.26 meters (125 ft. – 6 in.) in the javelin. In the three running events of the day, Lorien Nightingale would set a school record in the 5,000 meters (16:27.31) while Wesley Anderson(4:24.36) and Nathan Glastetter (4:36.29) would run in the 1,500 meters and Matt Nusser (11:00.51) and Jared Rose (11:13.94) ran in the 3,000-meter steeplechase. The final school-record of the day would come from Keishaun McMillian in the shot put with a mark of 11.37 meters (37 ft. – 3.75 in.) while Adrik Kling (36.35 meters, 119 ft. – 3 in.) and Evan Koehler (33.89 meters, 111 ft. – 2 in.) both competed in the javelin. Action would also be seen from the LeTourneau men in the long jump from Stanley Williams (6.86 meters, 22 ft. – 6.25 in. ), Javaughn Dantzler(6.44 meters, 21 ft. – 1.5 in. ), and McMillian (5.99 meters, 19 ft. – 8 in.) while Austin Parrish (4.73 meters, 15 ft. – 6.25 in. ), Alex Hindman (4.58 meters, 15 ft. – 0.25 in.) and Jack Miller (4.58 meters, 15 ft. – 0.25 in.) all competed in the pole vault. One more day remains in the Carl Knight Invitational, with action set to get started at 9 a.m. on Saturday morning. Running events on Saturday are slated for a 12:30 p.m. start as LeTourneau will look to continue their recent run of success with just two weeks remaining until the 2019 American Southwest Conference Track and Field Championships. LeTourneau Softball Falls Twice In Battle Of Top Two Teams In ASC. MARSHALL, Texas – Playing in a battle of the top two teams in the American Southwest Conference, the LeTourneau University softball team would be unable to overcome an early deficit in a 2-1 defeat before falling in the nightcap by a score of 6-2 to East Texas Baptist University at Taylor Field in Marshall, Texas on Friday, April 5. LETU is now 17-12 overall and 14-9 in the ASC while the number three nationally-ranked Tigers improve to 29-1 overall and 20-0 in conference action. A defensive battle throughout, the score would remain scoreless through two- and one-half innings of play until ETBU would score one run on one hit and two errors to grab a 1-0 lead. LeTourneau would look to respond in the top of the fourth by putting two of their first three base runners aboard but would be unable to capitalize on the opportunity as the Tigers would get out of the jam and maintain a 1-0 lead. With the score remaining 1-0 in favor of East Texas Baptist going to the bottom of the sixth, ETBU would utilize a leadoff double and RBI single to double their lead to 2-0 as the YellowJackets would be held to just four base runners on two hits through six innings of action. Two quick outs would put LeTourneau down to their final at-bat trailing by a 2-0 score when Taylor Nichols would break through with a solo home run to left field to cut the Tiger lead in half. A full comeback would not be in the cards however as a strikeout would end the game with East Texas Baptist hanging on for the victory. Tossing a complete game, freshman Bailey Richey would drop her second game of the season to fall to 7-2 overall after allowing just two runs on five hits and striking out two on 98 pitches. At the plate, LETU would get extra-base hits from Katelyn Trombley and Nichols with Haydn Parker collecting the only other LeTourneau hit in the game. Offenses wouldn’t wait on either side to kick off game two as LETU would push across a run by Macey Mize after a fielder’s choice and the stolen base would move the senior into scoring position for Parker to drive her home. ETBU would use the long ball in their half of the first after a leadoff walk to hit a two-run shot and take a 2-1 lead going to the second. Trombley and Ethel Warren would manage to combine for a run to lead off the top of the second as Trombley would hit a double and be followed by a Warren RBI single to knot things at 2-2. The Tigers would then manage to reclaim the lead in the bottom of the third with two runs on one hit and a pair of walks as both would come home to score on a one-out two-RBI single. Following a one-two-three inning from LETU, East Texas Baptist would add two runs on their second home run of the contest as an error to start the inning would prove to be costly with both scored as unearned. LeTourneau would muster just two hits (one in the sixth and one in the seventh) in the final five innings of play as the defense for the Tigers would come through and shut down the YellowJackets for the second straight game to hang on for the four-run victory. LETU would split their six innings on the mound as Leigh Luker (4-5) would throw the first two-plus innings of action and allow three runs on one hit while Samantha Akers closed out the final four innings while allowing three runs (one earned) on two hits. Six of LeTourneau’s seven hits would be collected by the two through seven-hole hitters with pinch-hitter Tori Hudson making the most of her opportunity with a double in her only at-bat of the game. Walk-Off Defeat Sees LeTourneau Baseball Drop Pair At East Texas Baptist. MARSHALL, Texas – Making the short drive down Highway 80 to open a three-game series, the LeTourneau University baseball team would see host East Texas Baptist University walk-off with a 6-5 win in game one to grab momentum and fall in the nightcap by a score of 12-2 to drop a Friday doubleheader at Woods Field in Marshall. Following the defeats, LETU now sits at 16-13 overall and 6-5 in the American Southwest Conference while the Tigers won their fourth straight to improve to 21-9 overall and 10-4 in conference play. ETBU would strike first in the series opener with one run on an RBI double in the bottom of the first before the YellowJackets would find their way on the board with a two-out rally. Jacob Jones would collect a double to put the game-tying run aboard for Cody Lee who would hit a double down the left field line that would tie things at 1-1 which is where things stood going to the third inning. Errors would prove to be to the benefit of LeTourneau in the top of the third inning as a fielding error would allow Jacob Faubion to get aboard and move to second base for Brandon Ramirez who would drive him home on an RBI single. A leadoff home run for East Texas Baptist in the bottom half of the inning tied things once again at 2-2, but it would be LETU who would appear to break the game open in the top of the fourth. A three-run fourth would be started with a Noah Mahoney leadoff home run and be followed up by a Jones one-out home run of his one. Lee would then hit a double to knock the Tiger starting pitcher out of the game as Faubion would cap off the scoring with an RBI single to center field. ETBU would cut the lead down to 5-3 with a leadoff home run in the bottom of the fifth and hold LeTourneau scoreless in the top of the sixth after seeing runners on the corners with just one out in the inning. The long ball would prove to be once again beneficial for East Texas Baptist as a two-run home run would tie things at 5-5 in the sixth inning to send them to the seventh and final inning of the game with everything still up for grabs. 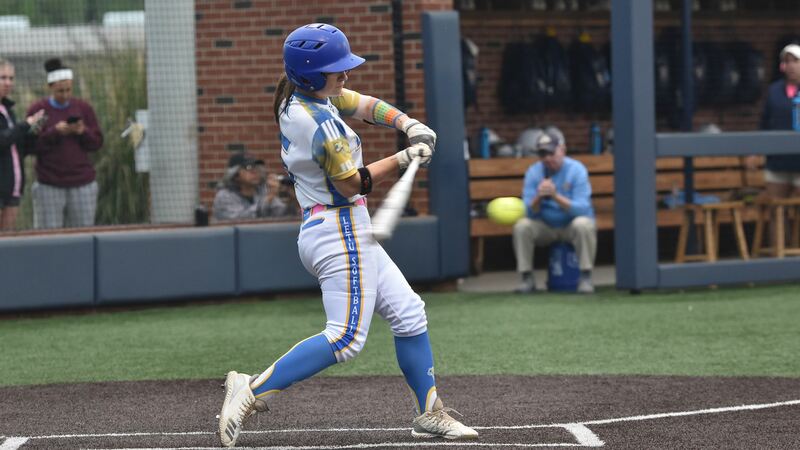 LETU would again threaten with runners on the corners with one out in the inning but see a delayed steal at second to try and get the go-ahead run home thwarted as East Texas Baptist would cut down Lee Hosie for the second out of the inning. A groundout would end the inning and allow ETBU to try and finish things in the bottom of the inning. The Tigers would prove successful in getting a walk-off win as a leadoff bunt single, and a sacrifice bunt put the game-winning run at second and would be followed by an intentional walk to set up a double-play. Extra-innings would not be in store however as an RBI single to left field ended the game with ETBU earning the one-run victory. Taking the loss in game one would be Ryder Lognion after throwing 1.1 innings in relief and allowing one run on two hits while striking out one. Leading the offensive charge for LeTourneau would be Jones with a three-for-three performance at the dish while scoring twice and collecting two of the five YellowJacket extra-base hits. Momentum from the end of game one would be carried over by East Texas Baptist in game two as LeTourneau would trail 4-0 after one inning of action and go down 6-0 heading to the top of the third. Things would then settle down until the bottom of the fourth when ETBU would add two more runs on two hits to take a commanding 8-0 lead before adding two more on a two-run home run in the bottom of the fifth. 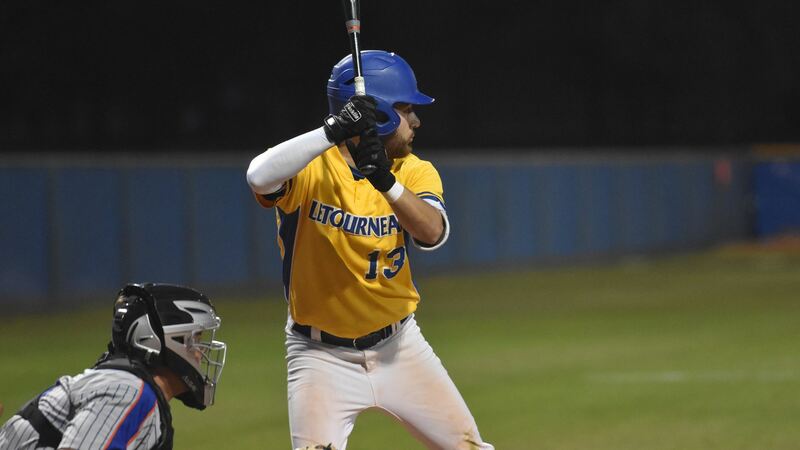 LETU would manage to break through for a run in the top of the sixth as Faubion reach base on a leadoff single and scored on a throwing error in what would amount to be the only run that LeTourneau could plate in the first eight innings of action. ETBU got the score back in the bottom of the inning with an RBI single to go up 11-1 and eventually take a 12-1 lead in the bottom of the eighth on a two-out RBI single. A leadoff single in the top of the ninth by Will Bradshaw would lead to a single run for LeTourneau in the top of the ninth as the early lead for the Tigers would ultimately prove too much to overcome with ETBU earning a series win with a twin bill sweep. The YellowJackets would be outhit in the contest by a 13-6 tally and be limited to just two extra-base hits (both by Bryce Brueggemeyer) as Lee would be the only LeTourneau player to drive in a run. 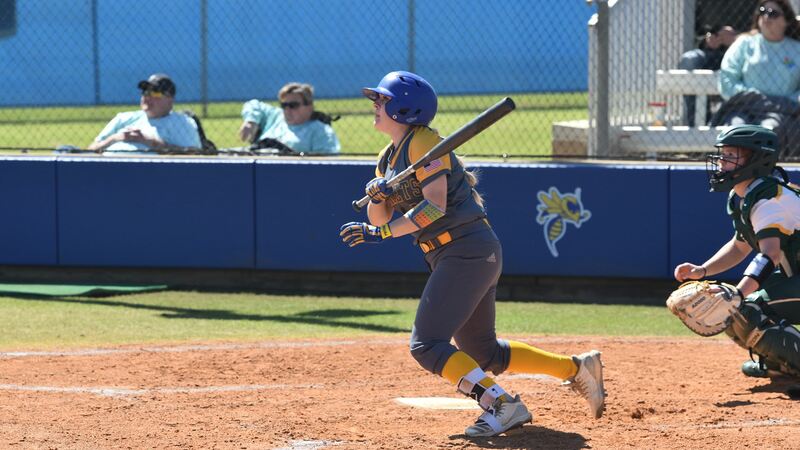 After striking out just once in game one, LETU would be set down seven times in game two and draw just one walk while leaving seven runners on base.